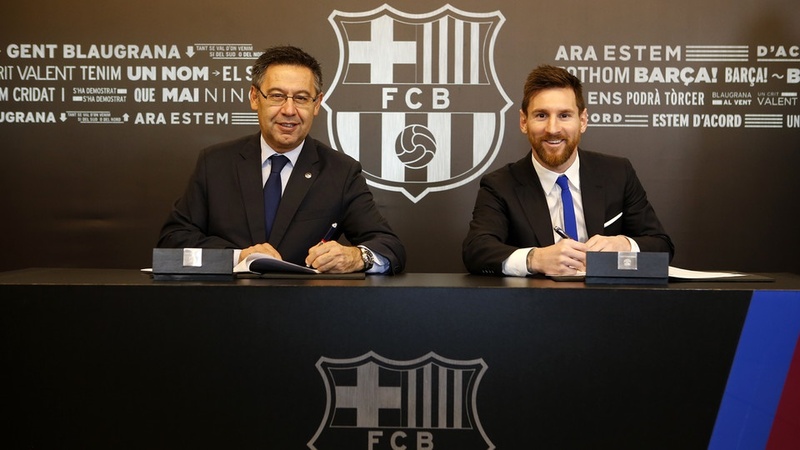 The long and quite rewarding partnership between Lionel Messi and his Spanish club, FC Barcelona is set to continue at least for the foreseeable future. The two parties after months of back and forth finally came to an agreement on Saturday. Messi signed a new contract that will keep him at Camp Nou through the 2020/21 season. The buyout clause was set at €700m. Thus, by the time the new deal expires, the 30-year-old striker will have spent 17 years with the first team. Messi joined Barça back in 2000 as a 13-year-old arriving from Newell's Old Boys. After impressing throughout the various youth categories, he made his first team debut at 16 in a friendly against FC Porto, before making his official debut the following season against Espanyol at age 17. The rest is history as Messi has gone on to win everything in sight since making his choice to pitch tent with Barcelona.